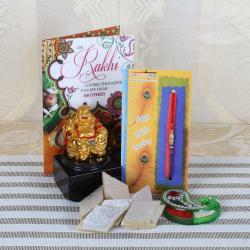 Product Consist: Benetton Color Perfume (Weight: 100 ml), Kaju Katli (Weight: 200 gms), Golden and Pearl Beads Rakhi, Rakhi Greeting Card along with Roli Chawal Container. 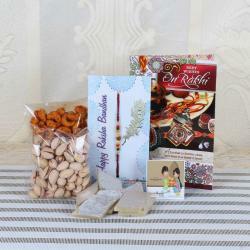 Cool gift pack for the awesome brother of the family to bless him for the Rakhi celebration. The gift pack has a Benetton Color Perfume which has a refreshing aroma and is all time favorite of boys. 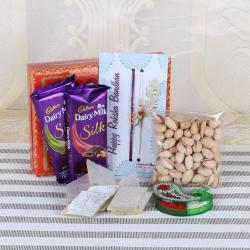 It also has a pack of tempting Kaju katli which dissolves on the tongue leaving its taste forever. The golden beads and pearls threaded in a matching red color thread look amazing packed in a designer card designed especially for the occasion. It also has a ambi shaped roli chawal container to complete the combo. 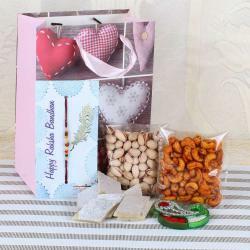 Send your love with this pack and make them feel the love hidden in it. Make some beautiful sister brother bonding memories with this special pack. 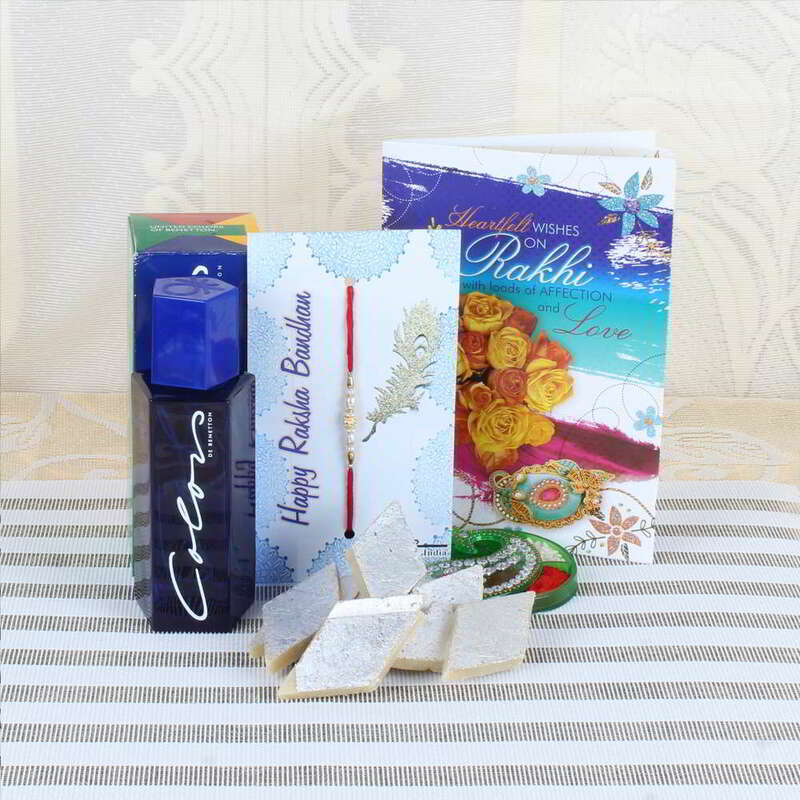 Product Consist: Benetton Color Perfume (Weight: 100 ml), Kaju Katli (Weight: 200 gms), Golden and Pearl Beads Rakhi, Rakhi Greeting Card along with Roli Chawal Container.